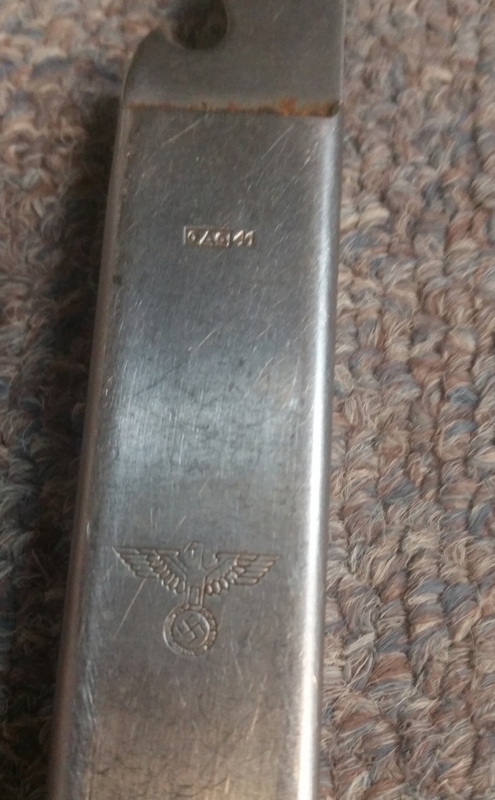 Home » Archive » GWC-0002 WWII German Army knife, fork, spoon and can opener set. 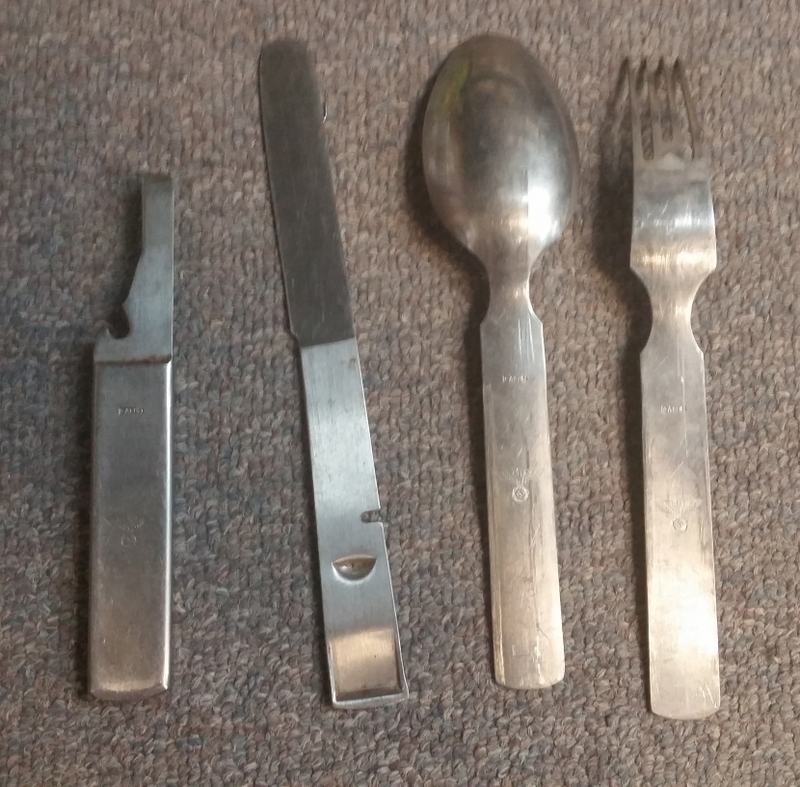 GWC-0002 WWII German Army knife, fork, spoon and can opener set. 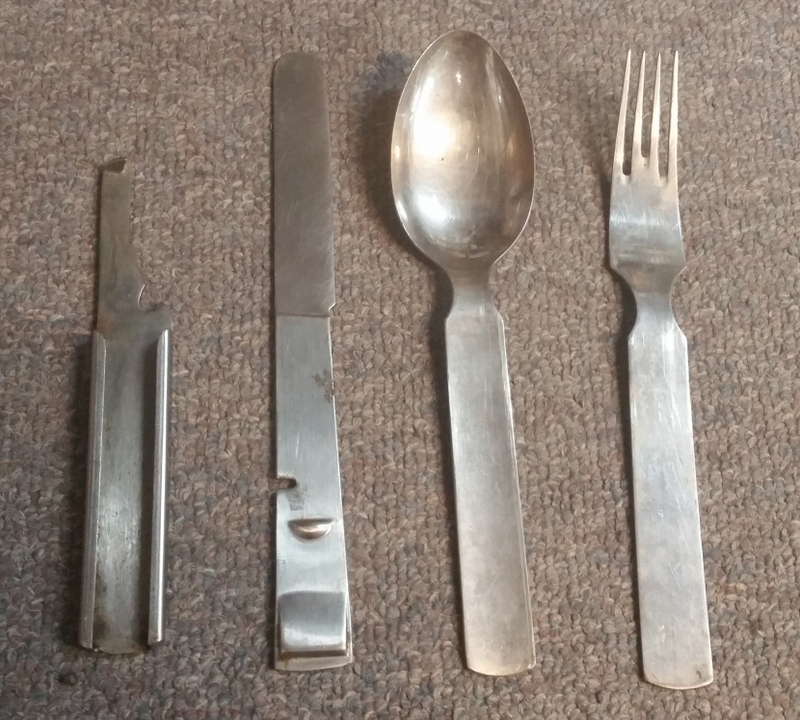 This is a great set of WWII German Army knife, fork, spoon and can opener set. 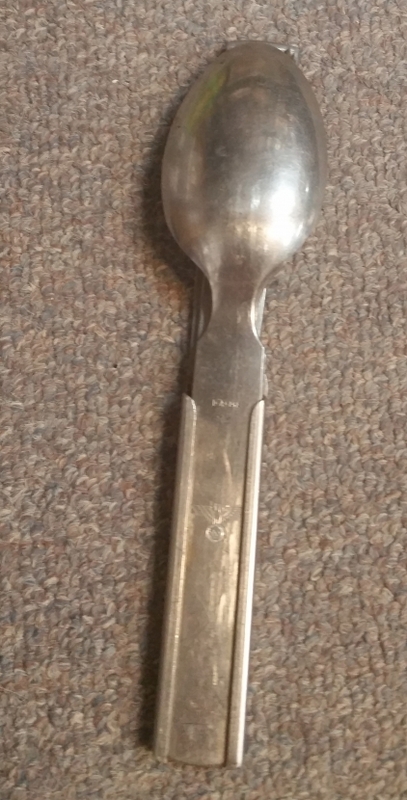 The fork, spoon and can opener are marked "GAG 41" with a German eagle, the knife is unmarked. 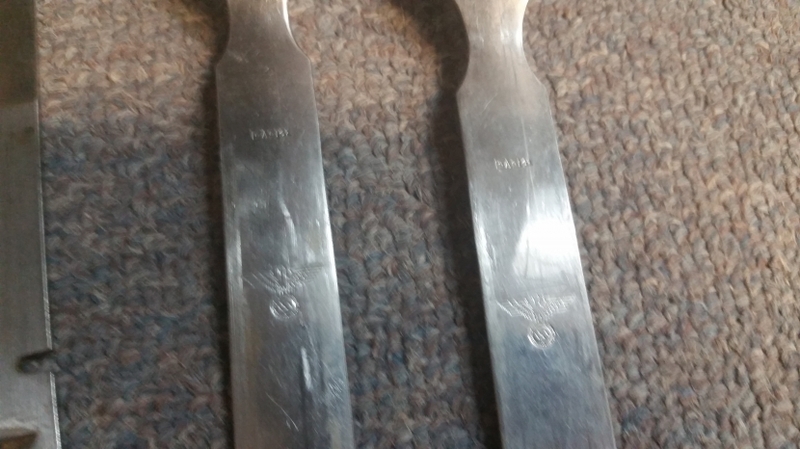 The set is in great condition. 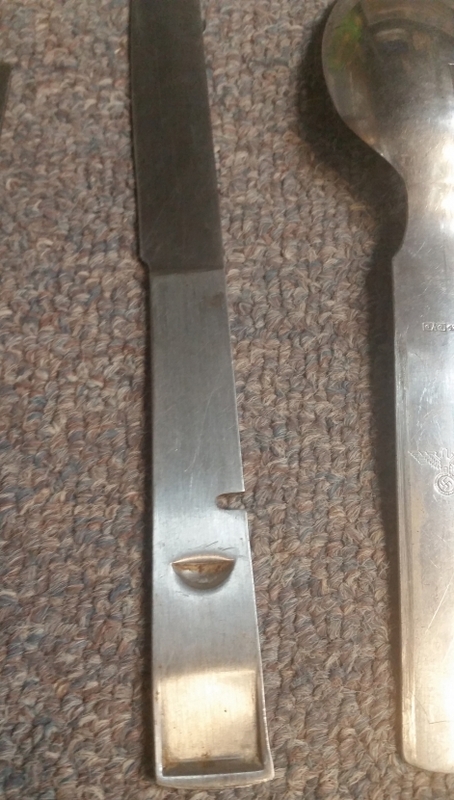 There is some minor rust on the can opener. Overall nice complete set.